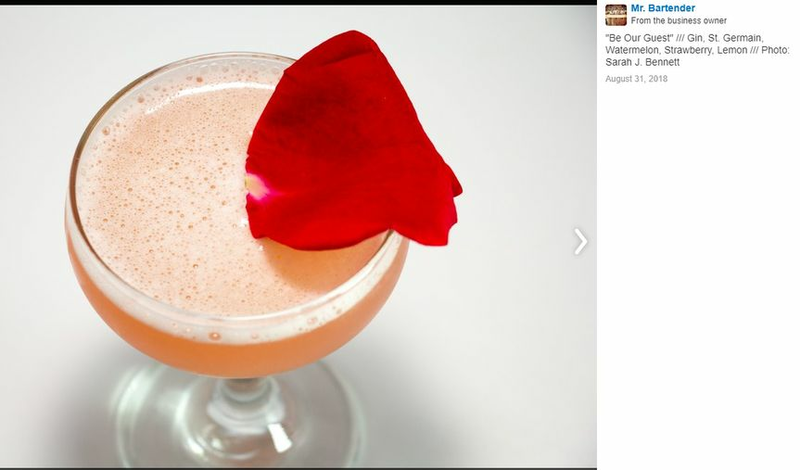 Mr. Bartender is a wedding bartending company based in Los Angeles, California. 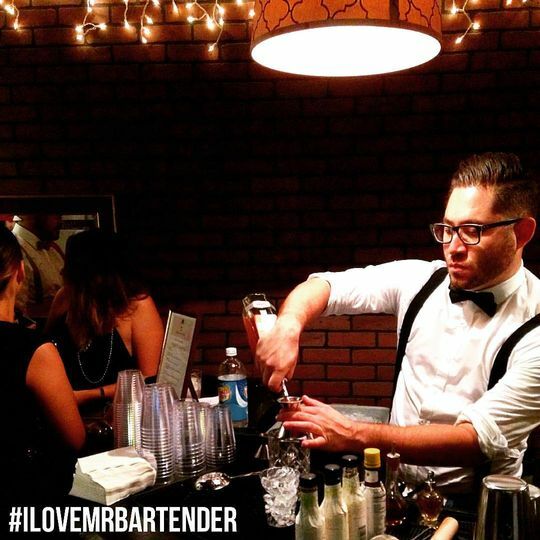 Since 2013, the professional team of experienced bartenders and their support staff have specialized in creating craft cocktails for weddings and events throughout the Southern California area. 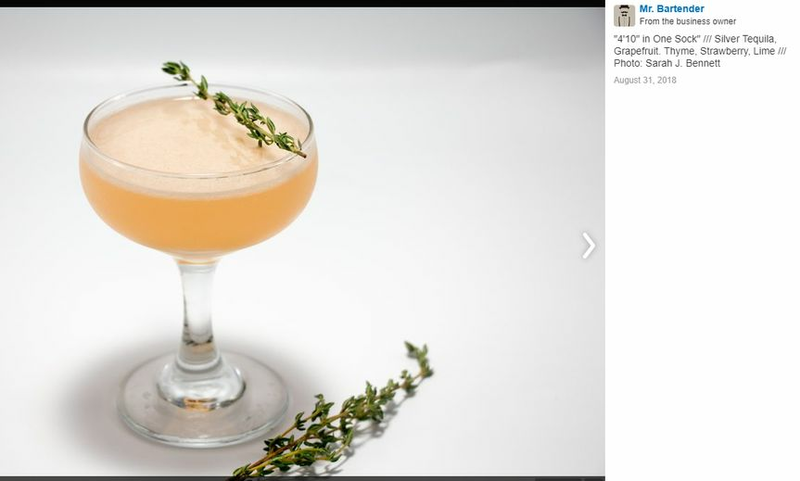 At Mr. Bartender, their mission is to change the way people drink. 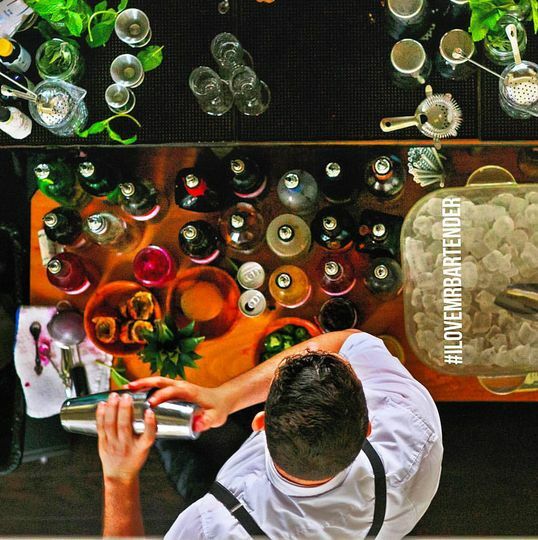 The bartenders at Mr. Bartender can craft well-balanced cocktails that are filled with fresh, seasonal ingredients, house-made syrups and premium spirits. During your cocktail hour and wedding reception, they will take care of all of your and your guests' needs so you can sit back, relax and enjoy the night. 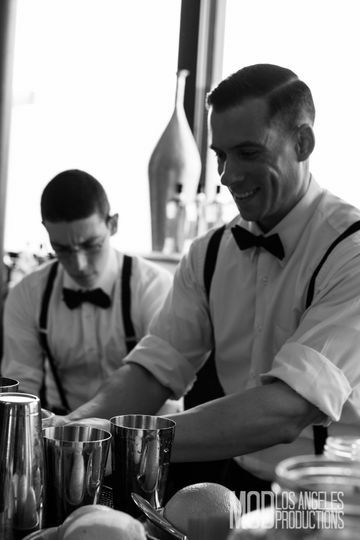 The support team at Mr. Bartender works alongside the bartenders and behind the scenes to make sure you and your guests are enjoying themselves and their beverages. 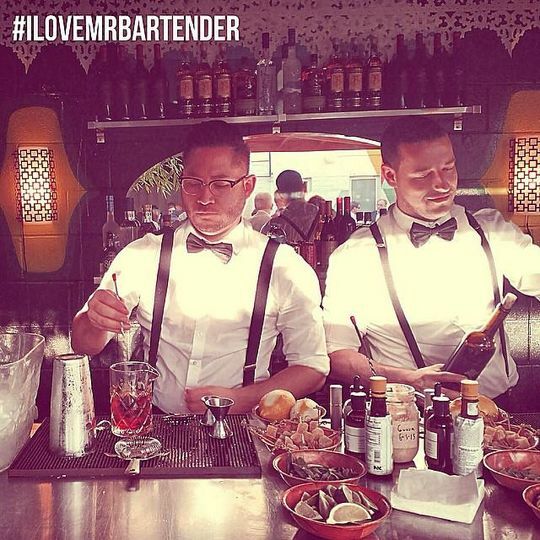 At Mr. Bartender, the talented team of bartenders can create any drink of your choice from any part of the world. If they don't have the ingredient needed to prepare your drink on hand, they will make it themselves. Wow, we were so impressed with Mr. Bartender's service. Anthony was responsive and helpful prior to the event helping us iron out all of the details from signature drink choices to the add-on syrups and juices to the amount of product to buy. He was spot on. As for the event, it went off so smoothly. The bartenders were a huge hit and everyone commented on how professional and friendly they were. Everyone also raved about the amazing drinks. Literally every person we spoke to mentioned how delicious they were - that includes the non-alcoholic drinks they whipped up for the non-drinkers. Additionally, there was never a long line even though pretty much everyone was drinking all night long (about 120 people). The bartenders were quick and efficient. We would use Mr. Bartender again in a heartbeat. Just a fantastic choice and a good value. Thank you! Booking Mr. Bartender is a no brainer. We used them for our engagement party - everything was fantastic, the drinks were delicious, and our bartender Chris was wonderful with the guests. A truly high quality service that made the evening that much better! Mr. Bartender is the only bartending service I will consider going forward. Mr. Bartender is a MUST for any event. His drinks are PHENOMENAL & his staff is outstanding. Anthony & staff are truly top notch. I didn't consider myself a "drinker" & must say that I now realize I had never had a properly made drink before my wedding. I am absolutely hooked. Our guests are STILL talking about the drinks. There were many consultations beforehand & Anthony has an extensive drink list to choose from. He is also flexible with specific drinks or preferences not on his menu. The flavors are PERFECTION. Our nephew is still asking for more vanilla lemonade! It's important to understand that there is cost for staff (we had 2 bartenders & a barback), additional cost for renting a bar & back bar (we had a large bar, a shelf for alcohol, and a 6' table), with the added cost of the alcohol (BevMo delivery to site) and any specialty syrups that are made by Anthony for his recipes. Syrups can run around $10-12 each, but are completely worth the cost. I promise the drinks are DELICIOUS! Ice will also need to be delivered to the site. 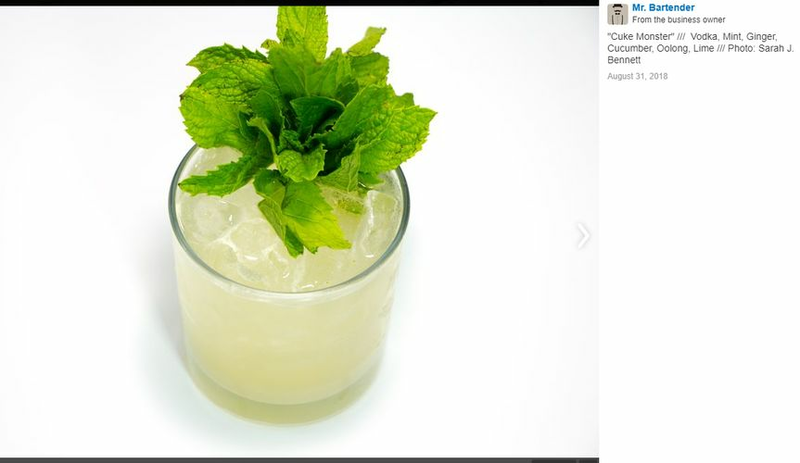 What you are paying for is the professionalism and expertise of Anthony's knowledge and extensive (delicious) drinks. 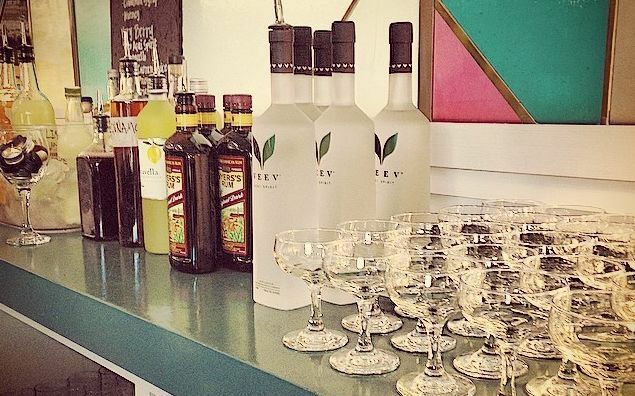 Once the menu is selected, it's really DIY - you'll need to get the alcohol and ice to your venue. We chose delivery which really made the process simple. It was nice to not have to worry about anything showing up once it was all booked. He also was able to provide 3 dinner servers who carried trays, bussed, and helped clean - incredibly professional! It's also important to understand how he works. Anthony is truly magical with his mixes. He's also very honest about his responsiveness/expectations. He will answer what you ask. If you want to talk things through, call him! He ALWAYS answers. Email can be slow, so it's helpful to be comprehensive so that when he responds, your real questions are answered. Knowing this upfront will help save time. We are fans for life! WILL ABSOLUTELY BOOK AGAIN!!!!!!!! !